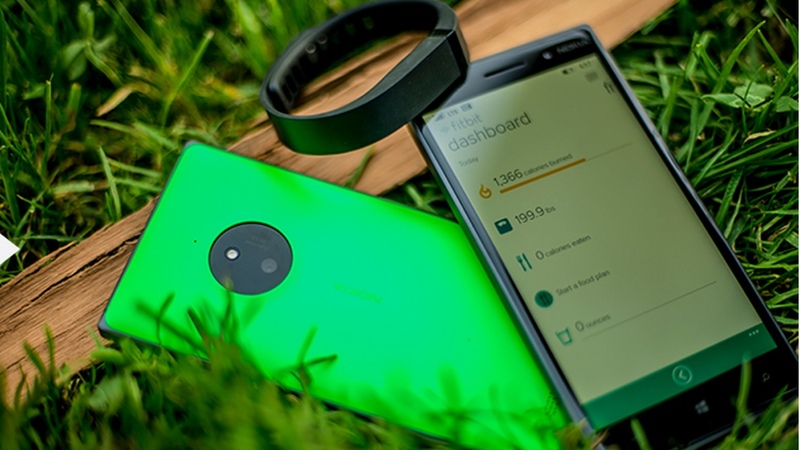 Microsoft is giving away a fitness tracker with its 'affordable flagship' Lumia 830 smartphone in the US with AT&T – but no, it's not the Microsoft Band. The company has made the decision, instead, to offer new Lumia 830 buyers a free Fitbit Flex. This had lead to a number of a number of reports online that Microsoft is ditching the Microsoft Band already, less than a week after it was officially unveiled, because of negative reviews. However, the more likely scenario is that, at $99, the Flex is a much more viable option to be bundled than the $199 Microsoft Band, and Fitbit's tracker also promotes a couple of key Microsoft services. The first of which is Cortana. At the end of October Fitbit announced Microsoft Cortana integration for "increased ease-of-use and efficiency when logging and tracking activities and food, as well as new motivational features and additional language support" for Fitbit’s existing Windows Phone app. The second service is the new Microsoft Health platform. Fitbit isn't listed as an official partner as of yet, rival Jawbone is however. And while Fitbit refuses to play nicely with Apple and its Health ecosystem, it already has history in teaming up with the Redmond tech giant - Fitbit and Microsoft's existing HealthVault are already compatible. So while it may seem odd that Microsoft has bundled a potential rival in with one of its biggest mobile handsets, it's clear that new CEO Satya Nadella is more concerned with getting Microsoft products across as many devices, Windows powered or not, as possible. Don't forget that Microsoft Health is also iOS and Android compatible. And, strange as it seems, a free Fitbit Flex might be a method of doing that.